We are so excited to be able to offer you FUN Books ! And the good people there are offering the following discounts just for the conference. FUN Books (www.FUN-Books.com) will offer a **10% conference discount** on most items, including clearance items already marked down. Even better, you can pre-order items (ensuring availability and saving time) and **receive a 20% discount** off the *retail* price on items pre-ordered and pre-paid. This will save you an additional 10% off most items. Because of publisher restrictions, discounts will not be provided on every item. If the item does not qualify for the extra discount you will notified. To qualify for the extra discount, place your order at www.FUN-books.com and put the following note in the shopping cart's comment box: "Real Learning HS Conference 20% Off: for pick-up only" or you can email your order to orders@FUN-Books.com. **Order before August 8th** to take advantage of this opportunity! We will also be selling CD's by popular storyteller Jim Weiss . Please check back often as we are hoping to provide you with even more choices at the conference! Mary Ellen Barrett is the mother of seven children who joyfully gave up a career as an event planner for an investment bank to live a learning lifestyle at home. She is a part-time writer/ researcher and co-founder of the Special Kids Mom list offering support to Catholic moms of disabled children. Mary Ellen lives with her husband of fourteen years and seven children on Long Island in New York. Mary Ellen's blog is Tales from the Bonny Blue House. Elizabeth Foss is the author of Real Learning: Education in the Heart of the Home, co-founder of the Catholic Charlotte Mason list and the 4 Real Learning Forums, and a longtime columnist for the Arlington Catholic Herald and Catholic Exchange. She lives and learns with her husband and eight children in Loudoun County,Virginia. 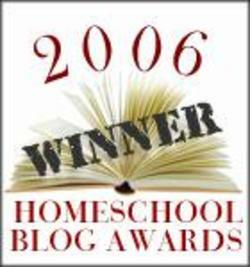 Her blog is Real Learning: Education in the Heart of my Home. Theresa Gonzalez is a biologist and nature enthusiast who enjoys living and learning along with her husband Ed, her 5 children and 2 grandchildren in North Carolina and Kodiak, Alaska. She shares her enthusiasm through her homeschool blog, Lapaz Farm Home Learning. Dawn Hanigan lives in Massachusetts with her husband Bill and their three sons (5, 8 and 12). They have been home educating for seven years - and counting! In her free time Dawn likes to blog, read, watch nature and do crafts. Visit her at By Sun and Candlelight. Meredith Henning from Idaho, a Catholic home educating mother of 4 sweeties aged 11 down to 2, will be married 14 years this fall to the man of her dreams, who fully supports her wish to be with their children and learn along with them! They have schooled in many ways, but find their comfort zone in a Real Learning environment including Montessori, Charlotte Mason, and maybe even some unschooling too!! They love to live their faith everyday as they learn and explore together! She blogs at Sweetness and Light. Jennifer Miller, the oldest of seven children, was raised by parents who planted the seed of loving the Church's Liturgy from early childhood. She has contributed to catholicculture.org and continues living and learning the Faith with her son and husband in Manassas, Virginia. Her blog is Family in Feast and Feria. Michele Quigley is the mother of ten children and the creator of the Catholic Woman's Daily Planner. She is co-founder of the Catholic Charlotte Mason list and co-author of the Mater Amabilis free online Catholic Charlotte Mason curriculum. She currently hosts the Family-Centered Learning, Catholic Moms Sewing room and Mater Amabilis Teacher Training forums. Michele and her husband Tim live with their children in Lancaster County,Pennsylvania. She blogs at The Family-Centered Life. Janette Smith lives in Texas with her husband of 15 years, Tim, and their four children. She graduated with a degree in engineering and loves her life as a home educator Tim and Janette share administrative duties at the 4RealLearning Forums. The First Real Learning Conference! 4:00 It's all About the Relationships! O LORD, Master of my life, grant that I may not be infected with the spirit of slothfulness and inquisitiveness, with the spirit of ambition and vain talking. Grant instead to me, your servant, the spirit of purity and of humility, the spirit of patience and neighborly love. O Lord and King, grant me the grace of being aware of my sins and of not thinking evil of those of my brethren. For you are blessed, now and ever, and forever. Patricia Lanza: Lasagna Gardening with Herbs : Enjoy Fresh Flavor, Fragrance, and Beauty with No Digging, No Tilling, No Weeding, No Kidding! Patricia Lanza: Lasagna Gardening : A New Layering System for Bountiful Gardens: No Digging, No Tilling, No Weeding, No Kidding! Keep your eyes on your own work! Why no comments on this blog?